Emergency officials say a worker accidentally hit a 3-inch natural gas line. TAMPA, Fla. -- Tampa Fire Rescue said crews are working to repair a damaged line that was leaking natural gas in the Channelside area. 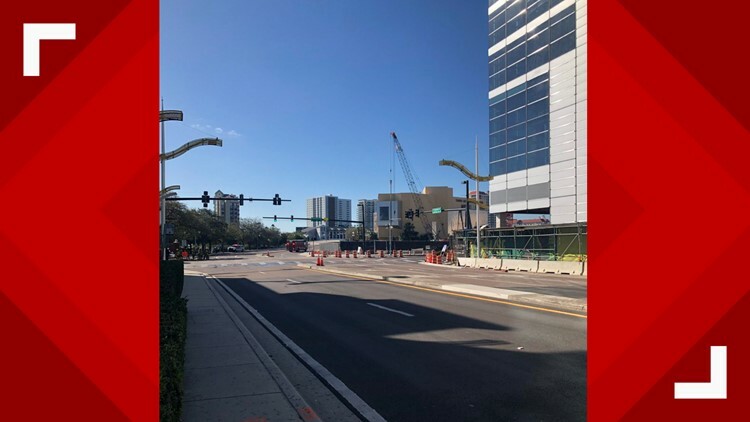 Fire Rescue spokesman, Jason Penny, said a worker was doing construction on the Water Street project when a natural gas line was struck near S. Meridian Avenue and Channelside Drive in front of the Tampa Bay History Center. Penny said much of the area around the leak was temporarily closed off as crews worked with TECO to fix it. Officials said the area has since been reopened.